Eipix Entertainment proudly presents the latest chilling installment of the Haunted Manor series! Welcome to Convington Mansion! It’s time for you and your old friends to complete an exciting scavenger hunt, but what starts as a fun reunion quickly turns into a dangerous fight for your life! Can you save your friends and escape a mansion with a malicious life of its own? Find out in this thrilling Hidden-Object Puzzle adventure! 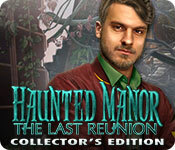 Haunted Manor: The Last Reunion Collector's Edition is rated 3.7 out of 5 by 37. Rated 5 out of 5 by juliedv5 from Nice one! I am already an Eipix games fan. This one is one of my favorite. The locations are different, original and numerous. Plus, it is hard to find games with few supernatural features. Rated 5 out of 5 by NJMysteryMan from A Fun New Twist On the Classic Game Series You are invited to an island mansion for a reunion of your former classmates. To top it off, your host has also arranged a scavenger hunt as part of the fun. However, things are not what they seem and during the hunt, one of your old friends is hurt. You realize it's time to get medical help, and while getting to the boat which brought you to the island, all heck breaks loose. Eventually, you realize something isn't right as one by one, your friends mysteriously disappear. And once you realize what's truly happening, you wonder if you will be able to make it off the island alive. 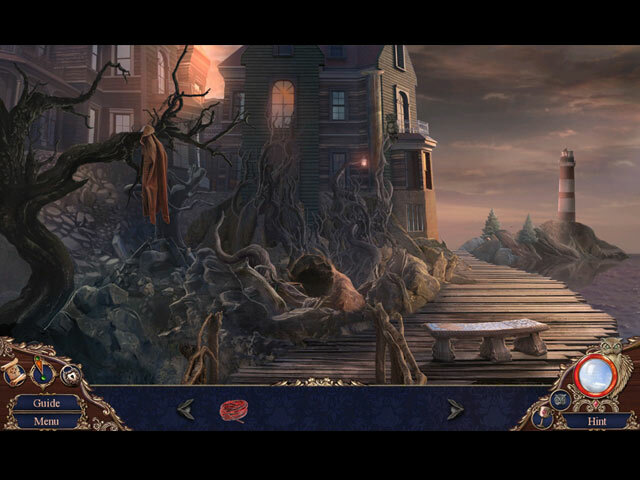 This game combines the atmosphere of Agatha Christie's "And Then There Were None," with a classic haunted house story like Poe's "Fall of the House of Usher." The game looks great and I enjoyed the voice acting and graphics that went with the game. I was able to figure out early what was happening, based on the clues provided in the opening credits, but it didn't lessen my enjoyment of the game. The original Haunted Manor series was fun for it's time, but this is a more complex and updated game and I hope these designers continue with this franchise. I can see future editions to the series, exploring various haunted houses. The fact that you are trying to escape the manor also blends blends in nicely with the entire puzzle element of the game. Created by Eipix Entertainment, it contains all the Eipix familiar touches, including morphing objects and other extra objects to search for in each scene. I know many people have been down on Eipix for a while, but I've always enjoyed their games. (Each company puts out a few not so great ones now and then). And yes, many of the standard puzzles you've seen before pop up in the game. Full disclosure, I play on casual mode because I just enjoy a relaxed game, and yet this was still challenging enough for me. I'm a mystery and classic haunted house fan so this game hit all the right buttons for me. The graphics were great and the plot was familiar yet fresh at the same time. I had a lot of fun and was sad to come to the end. I hope Eipix is able to continue this series. The bonus chapter for the Collector's Edition was a nice one, with one of the characters whom you meet in the game, explaining how they laid the clues that your character followed in the main game. All in all, it just dovetailed nicely, and wasn't some off the wall add on chapter. I had fun and I'm sure you will too. Rated 5 out of 5 by djrum525 from Great Game! Based on entire game and bonus. I have played all the Haunted Manor games and if Eipix wants to blow the dust off this long-forgotten series then I say, "Kudos" to them. Strong, interesting storyline. 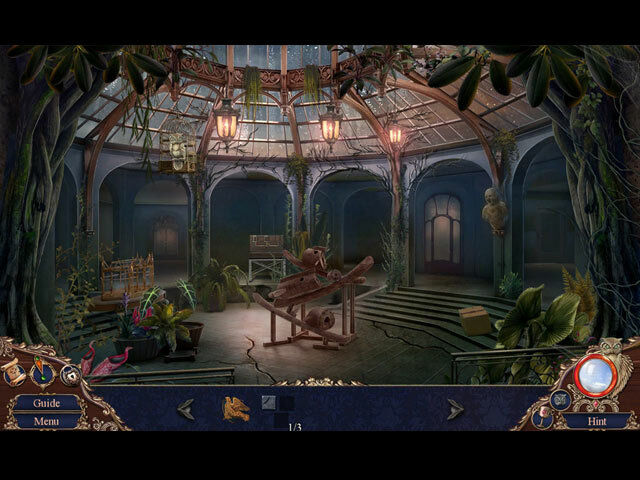 A good mix of hidden object scenes and puzzles. Game play was excellent! Rated 5 out of 5 by Marja67 from Happy. Enjoyed this one for the weekend. Pretty graphics. Good music. Good story. Thanks. Rated 5 out of 5 by georgi101 from fabulous this is one of the best games , the story line was so much fun the graphics are so real, wish there was a lot like this well done. Rated 5 out of 5 by hopqueen from Fantastic Game Within A Game! 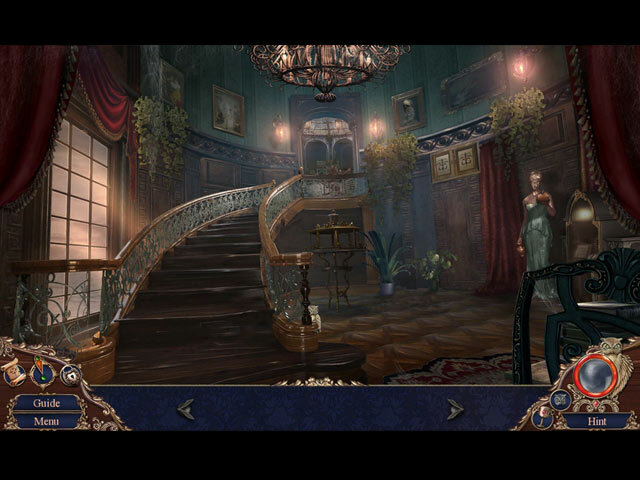 Between "League of Light: The Game" and this Haunted Manor game, I like the pattern of having a character in a game that they need to escape. This has particularly good graphics, and the eyes of the characters move realistically and the mouth movements really match what they're saying. This is one of those games where you really want to know what's going to happen next and how the characters will get out of their predicament. I haven't gotten to the spooky stuff yet, but the suspense leading up to it is good. The idea of the house trying to restore itself and yet breaking itself to attack people is awesome. Pictures move, wine glasses fill themselves - all these details are great. Puzzles aren't too easy - there are good challenges in here. I hope you'll give it a try! Rated 5 out of 5 by gobaba from Excellent Game by Eipix Based on Main & Bonus Games I'm not sure why people are dragging this game, because I was very pleased with it. If they remember the old Haunted Manor games, they have better memories than me. Anyway, the scenery and graphics are spot on, crisp and detailed with a lot of beautiful indoor scenes. Lip-sync was great, voices were good, music was soothing. The setting was awesome, an old haunted house on a remote island. The story was good enough, and I much appreciate the lack of crystals, artifacts, and cowled villains shooting red lightning out their eyeballs. Puzzles outnumber HOs, and puzzles are beautifully illustrated with quite a few new ones to enjoy. HOs were traditional mostly, but several had new twists to them that were pleasing. Adventure level was very good, with some items used in unusual ways, and more than once I had to think about what to do next. Collect owls in every scene, and morphs in HOs. You can go back and find any you missed in extras. Don't forget to pet 3 kitties! It's part of achievements, and I like the quirky ones. The souvenir room is a mini-collectable hunt that is mostly interactive. Good. The main game lasts 4 hours in hard mode, and the bonus game about an hour. The latter is a prequel. Other CE bling besides those mentioned are replayable puzzles & HOs, plus the usual. Eipix, I still miss your funny comments in the credits! Is it worth a CE? Yes. The overall quality of this game is excellent, showing creativity, novelty, and a pleasing atmosphere. Plus the CE bling extends your play time. Rated 5 out of 5 by m42153 from Rocked my world I have played so many games, but this one was one of my faves. awesome story line, great graphics and music, and the puzzles could be really difficult! Bought the collector's edition, just finished the game and really looking forward to the bonus! Really worth it for me! Rated 5 out of 5 by ebonyjeni from Mrs D This game is the best of the year! I love everything about this game. It is fresh and new, and I love how the developer created it. There is something new around every corner that the character turns. They should make lot's more of games like this and they should win Game of the Year. Rated 5 out of 5 by Lilly214 from Best Overall Hidden Object Game I have a huge volume of HO's and this one is by far THE BEST one yet ! You have done everything right. WTG!! !